Let's face it. In the modern day, your time is becoming more and more valuable as technology becomes more and more advanced. There's just no reason you should have to do a task as time consuming and menial as vacuuming. Having someone else clean your home is no longer just for those with hired help. Allow your help to come in the form of one of these fast, efficient, and smart cleaning robots now available in the USA. Get some extra work done or just kick back and relax as these little guys do their thing. You deserve it. The Neato Botvac Connected, released in the USA late last year, is everything the name suggests. This Neato robot is connected to your wifi, allowing you to control it from wherever you are. 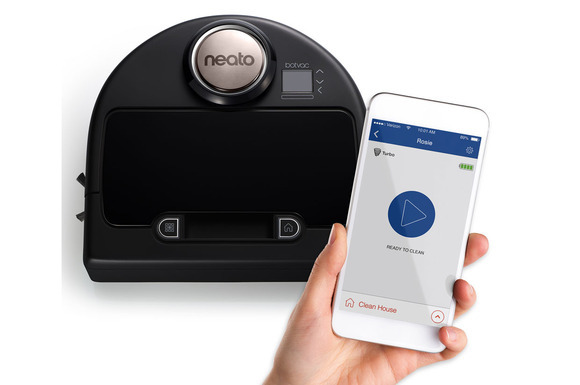 The Neato app make your life a whole lot easier by giving you the power to set a schedule for your robot, tell it to to clean your whole house or just one area, stop or pause your robot, and get notifications about the status of the vacuuming run. On more of the vacuum side of this smart vacuum, the device is equipped with both the combo brush and the spiral blade brush as well as two new ultra performance filters which can be easily popped out for cleaning. Choose either the Eco cleaning mode for a quieter, longer cleaning run or Turbo mode for a super powered cleaning with maximum pickup. You've got all the power. The Neato XV Signature Pro is designed for pet owners or anyone else who needs that extra pick up. It features a combo brush especially designed to pick up pet hair all while being extra quiet. This Neato robot is just as smart as its sibling, the Botvac Connected, but slightly more independent. Patented laser-guided technology scans and maps the room, plans, and methodically cleans, automatically moving from room to room. Scheduled daily cleanings can also be programmed or you may simply push a button for instant multi-room or spot cleaning. The robot automatically goes back to the charge base after it is low on battery, then returns to where it left off. You no longer have to worry about a thing as far as your floors go. Remember when you thought the Swiffer Wet Jet was innovative? Check out the iRobot Braava Jet 240. Designed to clean hard floors, including hardwood, tile, and stone, the robot is capable of mopping and sweeping depending on which cleaning pad you attach. In wet mopping and damp sweeping modes, the Precision Jet Spray and Vibrating Cleaning Head systematically tackle dirt and stains. 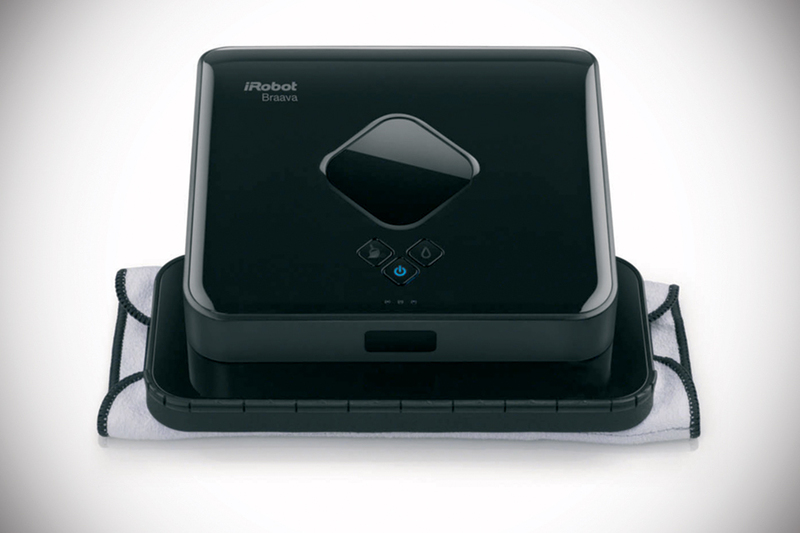 While in dry sweeping mode, the iRobot Braava Jet 240 traps and locks away dust, dirt and pet hair. The robot won't harm or spray walls or furniture and avoids stairs and anywhere else you create an invisible boundary with Virtual Wall Mode. When the robot is done, eject and discard the pad at the push of a button without touching grime or grit. Scrubbing those hard to reach places has never been easier. 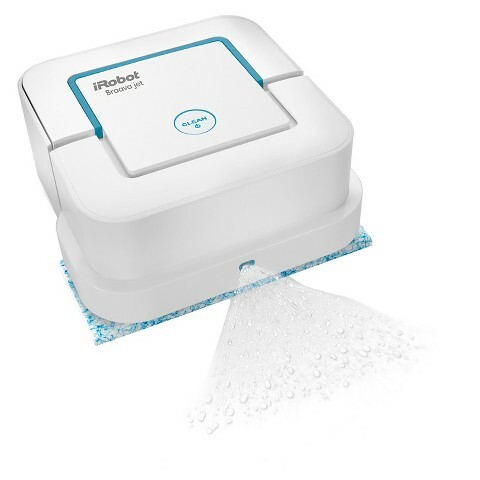 The iRobot Braava 380t Mopping Robot is perhaps the bigger badder brother of the previous vacuum by the USA based company. Like its sibling, it is designed to mop floors quickly and efficiently at the push of a button. This robot features a systematic and quiet pro-clean system with dry or damp cleaning for hard floors. Using the NorthStar Navigation System to map rooms, the iRobot Braava 380t Mopping Robot quickly cleans your entire floor in a single pass. The device also uses disposable or microfiber cleaning cloths to pick up dirt, hair and dust from all your hard-surface floors including title, vinyl, hardwood and laminate. Simple, quiet, and fast, you'll hardly notice this robot. That is, except for the impeccably clean floors. The Moneual RYDIS H68 Pro not only vacuums and mops, but also tracks its own performance resulting in consistent improvement. The H68 Pro even uses an upward facing camera to determine the shape of the room and map out the best cleaning path through Smart Vision Mapping. Featuring the industry's largest Big Mop and H20 tank, this robot is a one-in-all capable of mopping and vacuuming simultaneously or performing each task separately. Have carpet? Wood? It doesn't matter. This Moneual robot will clean whatever floor you place it on with its twin side brushes, main brush, BLDC suction, and reusable microfiber Big Mop with H20 Tank. 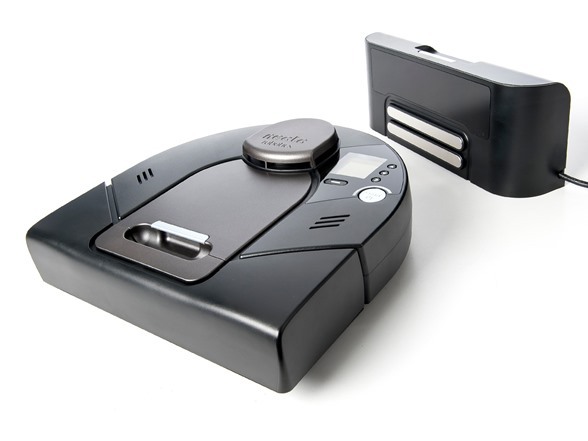 The H68 Pro is capable of both light and intensive cleaning at your command, whether it be pushing a button or putting the robot in one of two Reservation Cleaning modes. In addition to receiving your communications, the H68 Pro kindly speaks to you in order to let you know exactly what it is doing and informing you of any maintenance that may be required. You've never been this fond of a vacuum. 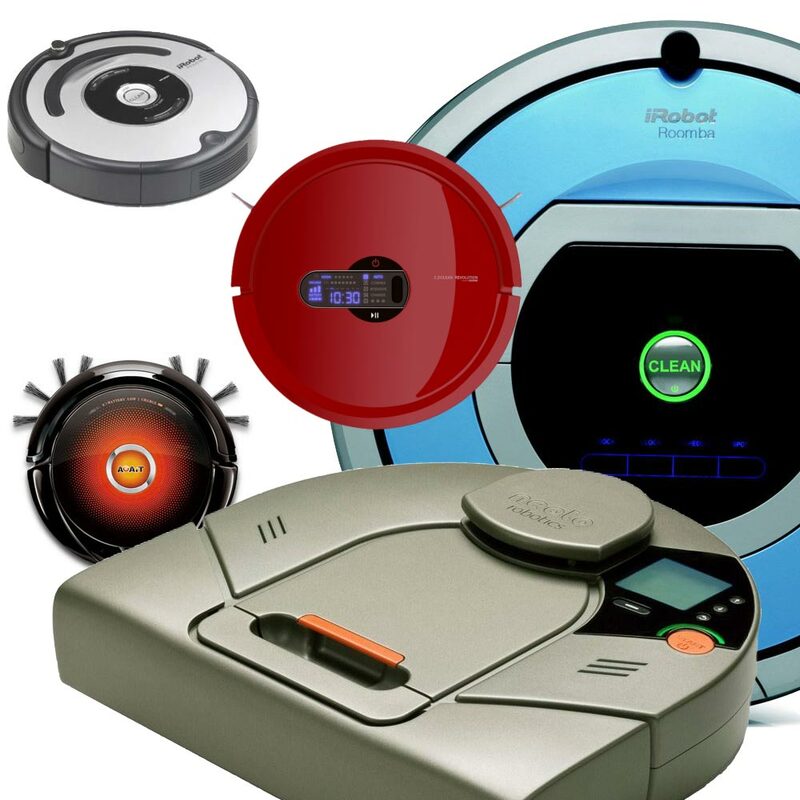 With so many options out there, now is the perfect time to find the perfect robotic vacuum for your floors and lifestyle. Many of these robots are only available in the USA and select countries. Don't let international shopping barriers limit your choices. Consider using Big Apple Buddy to attain your perfect robotic helper so you can take that time usually spent vacuuming, mopping, or sweeping and do something that actually makes you happy. 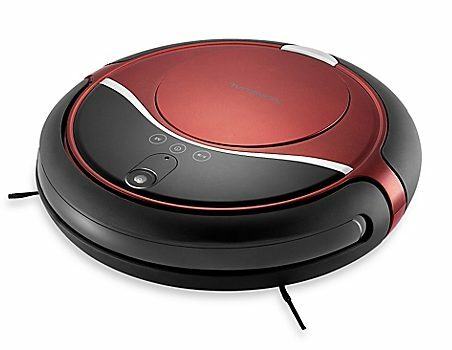 Learn more about our service or get a free shipping quote for your new robot vacuum cleaner today!